Touched by Olivia is a national charity with a big piece of its heart living in Ryde. 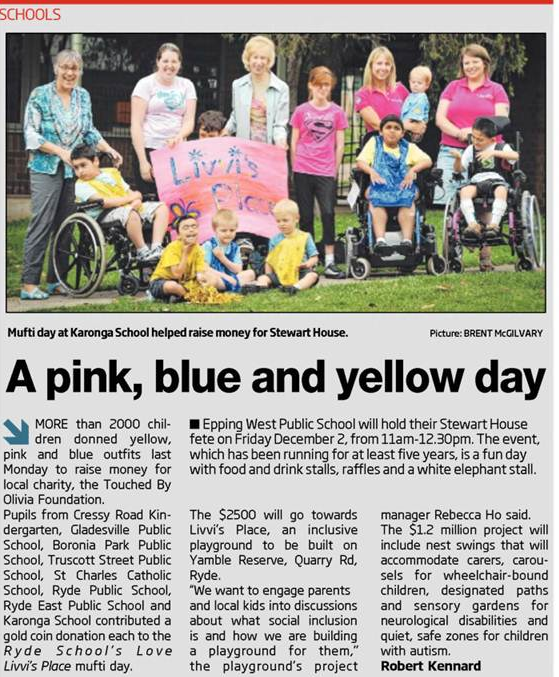 In 2013, we opened Livvi’s Place Ryde, an inclusive playspace design and built with the support of thousands of locals. It has grown to be a much loved part of the community. 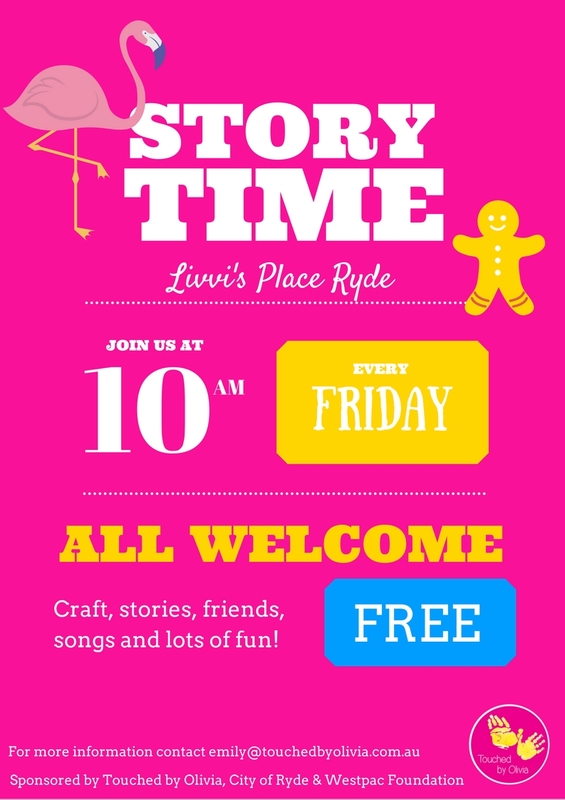 Our commitment to inclusion continues with the introduction of a free weekly story time. Attached to this email is a flyer, that we would love for you to share with your networks. Everyone is welcome. We have also developed a flip book to teach children what to expect when playing at Livvi’s Place. How does it work for children? Highlight the benefits of going to the playground such as having fun and making new friends. The flip book has been created in powerpoint format so you can tailor to specific needs. Click here to download.